The luxury sales team of Jayson Gazloff and Rob Mason. 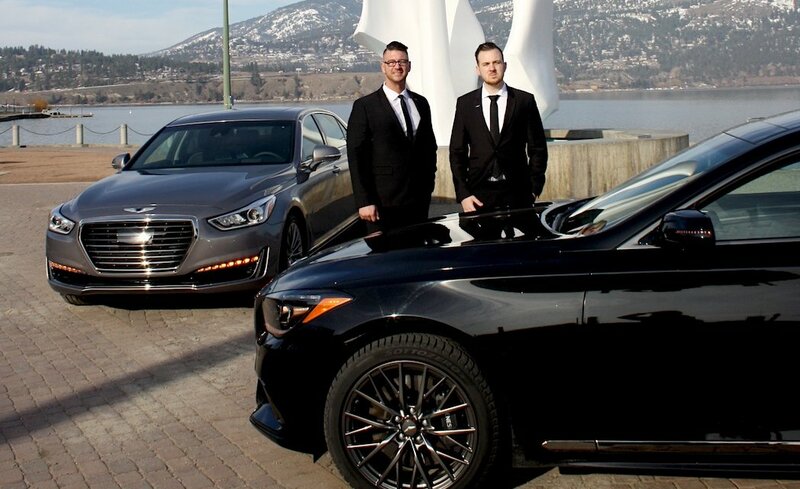 The Kelowna Hyundai team and parent company, Kot Auto Group, just got busier with the addition of two franchises: Penticton Nissan and Genesis Kelowna. Opening its doors March 1, the new Penticton Nissan dealership was built on the Penticton Indian Band lands of Satikw Crossing. 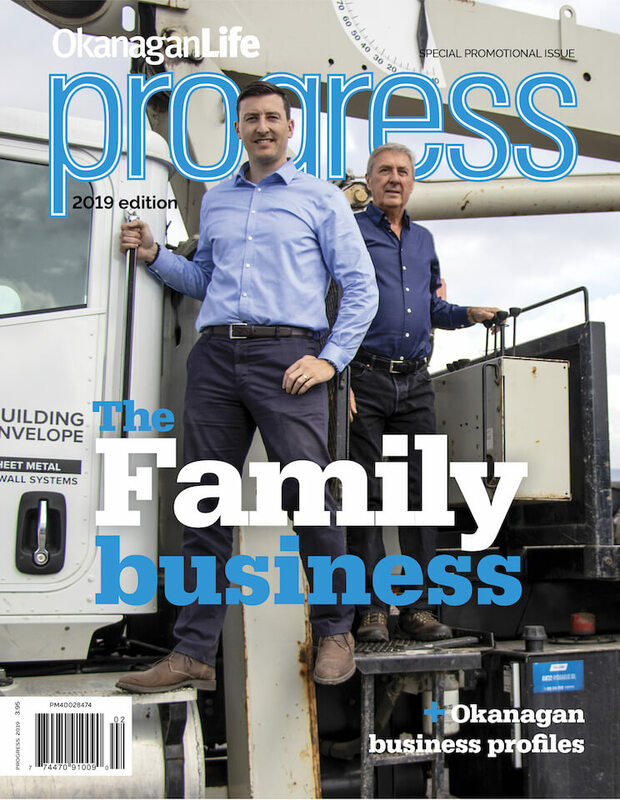 Our Progress 2018 issue features Okanagan business profiles. 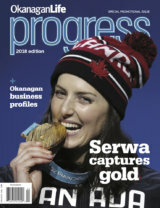 On the cover (and inside): Kelsey Serwa celebrating her Olympic gold medal. 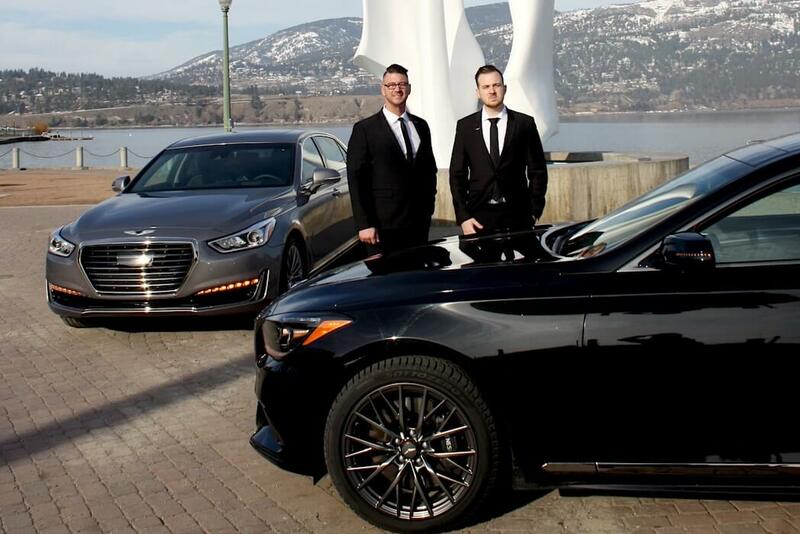 In Kelowna, the Kot Auto Group is the new distributor of Genesis, an up-and-coming luxury brand. Currently offering sedans brands G70, G80, and G90, three additional models will be added to the Genesis lineup?—?including two SUVs and a sports car?—?in 2020. Each Genesis car includes all of the technology and premium comfort expected in a luxury brand, but with a worry-free ownership experience, offing complimentary schedule maintenance and at-home service, where the dealership picks up the vehicle and delivers it back to your home. “Genesis’ approach will literally change the landscape of luxury buying in Canada,” says Jayson Gazloff, a Genesis experience manager. 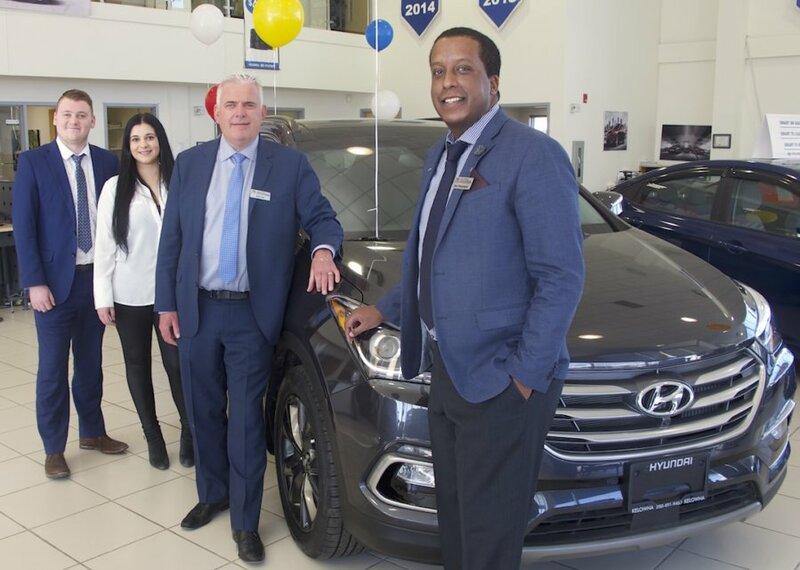 Kelowna Hyundai recently celebrated its fifth Presidents Award in over six years. The 2017 Award presented by Hyundai Canada honours the top dealerships in Canada based on new vehicle marketshare, certified pre-owned used volume, customer satisfaction and service satisfaction. When general manager Sam Ghessesow was asked what his secret, he replied, “The answer is easy. It’s teamwork, where everyone’s works towards the common goal of one thing: making customers happy.” Sam joined the team in 2014 after working for a large dealer group in Edmonton. He and John go way back, as Sam started on the sales floor for John over 18 years ago. 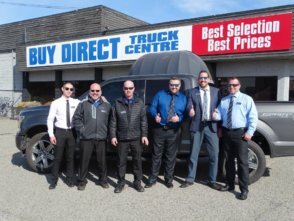 Sam also oversees The Buy Direct Truck Centre on Carey Road in Kelowna, which boasts the largest used inventory in the Okanagan with over 200 used vehicles in stock at all times. Scott Muir, general sales manager and a recent transfer from the Maple Ridge dealership, specializes in finding a home for every car regardless if it’s under two thousand dollar car for a first-time driver or a heavy-duty truck for a construction worker. Jordan and Janessa join their father John Kot (centre) and Kelowna Hyundai GM Sam Ghessesow (left). The Kot Auto Group is a family-owned business with son Jordan and daughter Janessa in management positions, while the eldest Brandon is learning the ropes in at a large Chrysler store in Vancouver. John’s youngest son Logan (9) isn’t sure where his future is headed yet. Okanagan Valley business stories told by the people behind them. For advertising details, see Spotlight on Okanagan Business. 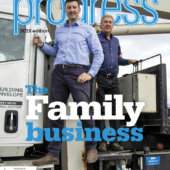 Progress – Okanagan Life's special annual business publication. Valley stories told by the people behind them (sponsored content). From Okanagan homes and real estate to insurance, health and retail, our business profiles cover the Okanagan Valley and Thompson Shuswap.